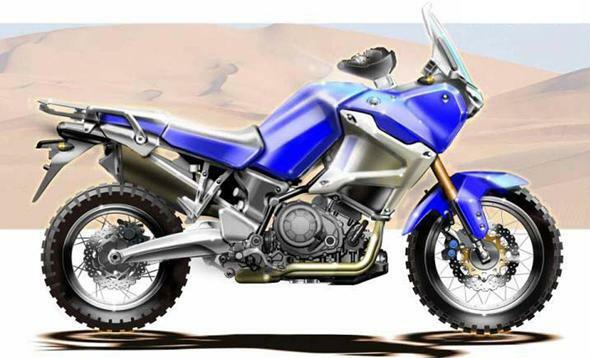 Product planning says: "This bike is built for adventure, for big loads and long journeys, for far-away places, in line with the previous Ténéré's." 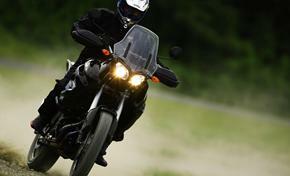 Engineering says: "A big bike should still feel nimble. 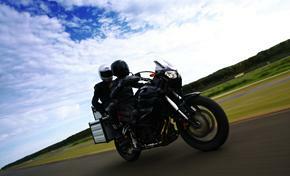 We aimed for perfect handling and great feedback between rider and machine." 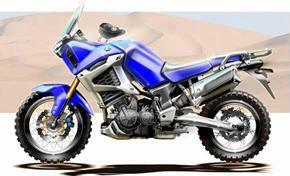 Learn more about the design background of the Super Ténéré in this article. How to make a big adventure bike handle well? • Low point of gravity creates easy handling. 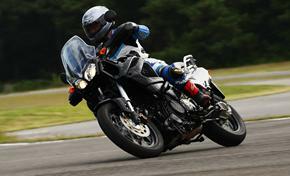 • Excellent suspensions avoid chassis movements and keep the bike stable. • Extra strong brakes with precise feedback provide perfect controllability in every braking situation. • A torquey engine, set for great low &amp;amp;amp; mid range response, means always having the power available at your fingertips: instantly when needed. What did our test rider say? "In theory this is a big bike but you don't feel the weight when you ride it. The engine is very strong and easy to use and the suspensions are clearly exceeding current market standards." • To build very narrow to allow good rider movement. • The Parallel-twin design is very compact and has a low point of gravity. • The crankshaft location near the rider's feet makes it feel light and it is easier to balance the bike, especially on loose ground and in tricky conditions. Why is the radiator at the side? • To make space to move the engine weight more forward, improving stability and handling, especially when the bike is loaded. • To enable a modern, very long swingarm which aids traction and suspension function. • On the other side of the engine there is now space for battery and electronics. This avoids long wirings, facilitates maintenance and helps to concentrate the masses for better handling. • This makes both cylinders fire closely together. 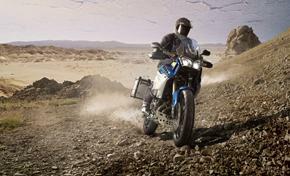 Traction is improved and the rider can better feel the grip at the rear tyre. 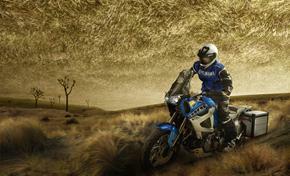 This technology was developed by Yamaha for use on their winning Dakar racers. • The rider also feels a very direct connection to the engine because the so-called “inertial torque” fluctuations are almost eliminated. 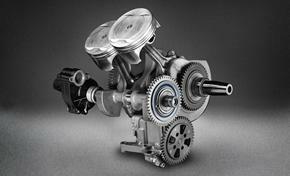 This is a similar effect as the exceptional 2009 R1 engine with crossplane crankshaft! • Developed for roads with poor grip and in off-road conditions, for example in tricky uphill situations where it’s easy to lose the rear wheel. Especially on bikes with such strong torque! 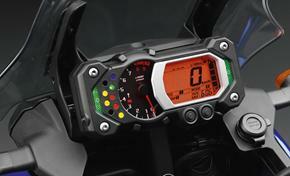 • Technology from the M1 MotoGP racer: a very sophisticated system that works in conjunction with the YCC-T system. It is not a simple ignition interruption! 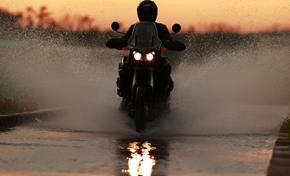 • The level can be switched to suit road conditions, rider skill and rider taste. The settings are TCS1 (standard), TCS2 (limited) and Off. "It's really a good system, it works super. 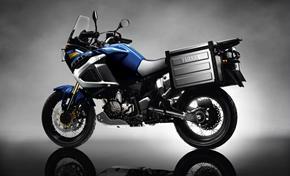 Especially off-road, I could ride the bike more dynamic with less chance of the wheel slipping away. It is also good on the tarmac, on mountain roads with hairpins it's easier to open the throttle when you come out of the corner. You feel better connected with the bike." What is the merit of these electronics? 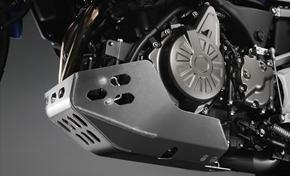 • Yamaha’s Chip Controlled Throttle is applied on Yamaha's most powerful engines to enhance the throttle response. • D-mode means the rider can switch between power curves to make the bike more fun to ride depending on the specific riding situation. 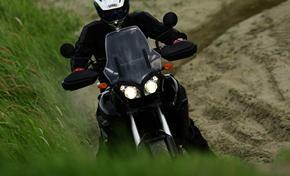 • 2 settings: The S-setting is for sports riding, when the rider wants the most immediate performance possible. 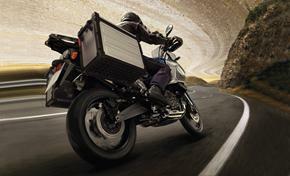 The T-setting gives a softer response and more relaxing ride due to a milder power delivery. The maximum power is virtually the same in both settings, the system adjusts the delivery of the power rather than the power output itself. 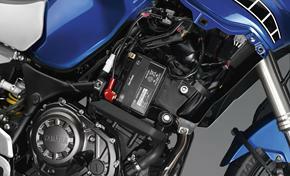 The electronics, as well as the purpose-built engine and chassis layout are an example of Yamaha's intelligent approach to this category. Yamaha focused on what the rider can actually do with the bike rather than straight-out performance that may not be useable in reality. The enjoyment of the machine for the specific adventure use was the focus of attention - exactly what made the previous Ténéré’s so famous.